Prepare items to stockpile for emergencies or a disaster to avoid panic buying or hoarding at the last minute! In the event of an emergency or a disaster, people tend to hoard great volumes of food they can grab on store shelves. However, money will no longer be a matter of concern during a time of calamity. It will always boil down to the basics of food, water, shelter and a means to protect yourself and your family. The following are a list of things to stockpile to survive or get through an emergency situation. Stockpile batteries you commonly use. You’ll want to be able to listen over the radio about weather updates or incoming help. This will power up your flashlight or emergency lamp. You can chomp down on that granola survival food if cooking isn’t possible. Loaded with healthy fats and protein, peanut butter provides great amounts of energy for the body. Once it’s opened, you don’t need to refrigerate it. This non-perishable meal has a long shelf life, and it provides essential vitamins and minerals which are much needed for the body. It is also high in calories and protein. The downside is it needs to be boiled for 30 minutes to an hour depending on the brand. Water is basic, yet it is the most important element needed by the body. Stocking up bottles by the gallons would greatly increase your chances of survival. The water purifying tablets will come in handy once you run out of drinking water. It is the quickest way to ensure you’re drinking safe water. Pasta can easily be stored and provides a large number of carbohydrates. Like rice, you will have to boil it, but it enables you to create a wide variety of dishes. This will keep you and your family from getting fed up or sick to the stomach from having to eat the same kind of food every single meal. Stockpile just enough for your bugout vehicle, generator, and gas-powered tools in a one year rotation period. More than that will be a waste since gasoline or diesel fuel is a perishable product. If all else fails, going back to the traditional way of keeping your house illuminated would not hurt at all. These are also great tools for starting a fire should you need to cook or keep your family warm. What good are fire starters if you don’t have anything to fuel the fire? Stacking Duraflame logs will provide an alternative fuel for the fire if your real firewood gets wet. You can use mason jars or empty containers to grow fresh sprouts for consumption. There is a high probability of bacterial contamination from sprouts, though. Knowing how to grow them in a safe method is essential. A 72-hour emergency kit contains other items such as a crowbar, liquid bleach and duct tape other than the basic food, water, and first aid. Other than the other stuff stockpiled in your home or bunker, you must have a bugout bag ready. It should contain all the essentials in case you need to evacuate in a hurry. Your emergency medical kit contains the basic elements so one could stopgap injuries and diseases until such time they are able to get full medical attention. Coconut oil outlasts all the rest in the market for up to two years. It can be used in a lot of different ways not just in cooking but also for home health remedies. Mainly composed of black beans, navy beans, pearl barley, and black-eyed peas. You can store this mix in large quantities, and it requires very little space. Dried eggs come in powder form and have a very long shelf-life. It is a great source of protein which is really needed by the body in stressful situations. Just add a little water, and you’re good to go. These solid fuel tablets make starting fires as easy as ABC. They are residue-free and practically smokeless, which is great for cooking or heating food and beverages and even boil water. This water-repellant fire starting product provides a safe, versatile and simple way of getting that fire started. It burns for fifteen minutes and has a shelf life of thirty years. This leak-proof collapsible container can be unfolded when you need it and then folded again when its contents are used. No hassle or carrying empty containers around. These are only a few of the basic or advanced items that everyone should stockpile in case the unexpected happens. Never assume that disaster won’t happen to you or your loved ones. As a lot of doomsday Preppers say, we should always expect the unexpected. Surely, you have your own list of emergency items. Tell us about them in the comments section below! Editor’s Note: This post was originally published on February 10, 2018, and has been updated for quality and relevancy. I have most of the items except the taser, I d like to get one! 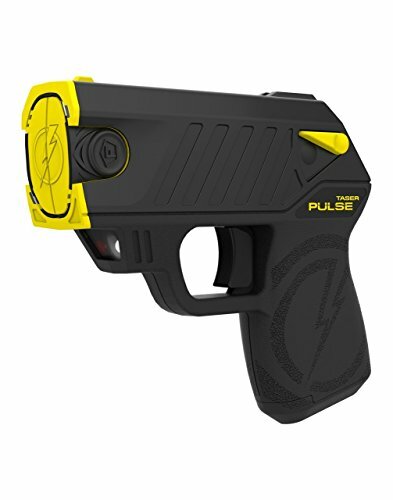 No, I said I’d like to get a taser! We started growing our own veggies to dehydrate and store in Mason jars with a tablespoon of coarse salt at the bottom of the jar. Growing a variety of herbs is a good idea as they can be dried and used for everything from poultices to teas and seasonings. Having a fireplace in your home can be utilized for heat and cooking, but also make sure to purchase a BBQ, even a small one can be used to place pots and pans on. I found an old fashioned Pyrex coffee peculator at a thrift store for $2 dollars, cleaned it out really good with Bon Ami and its good as new. I want coffee when the SHTF. Don’t forget to load up on toilet paper, hygiene products and OTC medicines, Dollar Tree is a great place to buy this stuff. Be practical and only stock products you would normally use, this wont be the time to try out new stuff. Also keep lots of duct tape and tarps (Dollar Stores) to cover and seals windows and doors if need be. Hope this helps. Be Safe! What purpose does the table salt serve? I’m guessing it serves as a food safe desiccant but I’ve never heard of it being added to dehydrated food before. PS, another thing: Don’t forget your pets! Keep them safe, have plenty of kibble (not wet food) stockpiled for them and extra blankets or old towels. Make sure they are up to date with vaccines and have extra of any meds they may be on. Janeth why no wet food for your pets. You recommend only dry food. Wet food won’t keep long and can get moldy. You can keep dry food a long time and can add water to it if needed. Otherwise leave a bowl of water beside the dish of food. All of these are basic items, the most important thing is the security to protect Your Family and any items You have stockpiled. I am a survivalist and have been planning for quite some time . I even have the bivy bags so we won’t freeze to death in the cold. fireplace, wood to burn, six hundred gal of water to flush the pot with, cases of potty paper, a stil for water purification, generator and lots of gas, two solar systems, guns and ammo, enough food for a year, traps if needed, electric and gas chain saws, lots of propane for heaters and cooking. Let’s not forget tools and seeds for planting. A walking cane/stick/pole or crutches might come in handy for a bum leg or healable injury..
Hand winch/pulley, clamps, hoses, flex tubing, gloves for cold, for soil, for nasty stuff and general protection, masks or bandana for nose and mouth. Perhaps others mentioned these, apologies if I missed the postings. also I would suggest that if you wear glasses to get an extra pair in case you break one, nothing worse than trying to live if you can’t see. Same with hearing aids, take plenty of batteries!! and last if you have some long range walkie talkies they will help if you should get lost or seperated. keep in touch with home camp site. All very good suggestions! I am a registered nurse, and also farm. We do a lot of our own veterinary work. Be sure you have everything to keep your family and animals healthy. Goats are very prone to gastrointestinal worms, which can quickly kill them. Most commercial wormers are becoming useless as the parasites develop genetic immunity. Be sure you can rotate pastures and read up on natural ways to combat these issues should SHTF and veterinary care or meds become unavailable. Goats also need their hooves trimmed occaisionally, so hoof trimmers are a necessity. Having penicillin G and injection supplies would also be needed to treat infections. Buy a gallon of copper sulfate solution, such as Coppertox ( there are much cheaper generics! Or you can find it as a wood preservative in the paint section of a hardware store.) This has long been used as a treatment/preventive for hoof rot and other hoof problems. Plus you can use it as a wood preservative. Mind you this is toxic stuff, and it stains skin and clothing, so take proper precautions there! Also prepare for the unexpected accident. One of our donkeys broke her lower back leg, most likely from stepping in a hole while running. It was dangling. I gave her a pain shot of Banamine and while my husband held her still, I straightened the leg the best I could, wrapped it in an old soft piece of towel, wrapping it in coban (this is tape like athletes use that only sticks to itself. I then applied a piece of 3 inch PVC pipe which was split lengthways over the lower leg and duct-taped it together. Her leg healed nicely, and you can barely tell that it was ever broken. Not bragging, but it was good to have those supplies on hand when we needed them. I suppose the same could be done for a human if there was no access to real medical care. Also, be aware that foods such as ramen noodles are quick and easy, but have an ungodly amount of salt. A steady diet of these is not good, as it would raise the blood pressure considerably. If someone already had blood pressure problems, this could put them in danger of heart attacks, kidney failure or a stroke. It would be a great thing if everyone could find a first aid/CPR course to take. American Heart Association, American Red Cross, and most fire/rescue stations offer these. After all, to quote another website, “Knowledge weighs nothing!” Be safe out there! and Griebenschmalz – nothing more than bacon cut in little pieces, fried until it is nothing more than bacon grease and bacon bits, put in a glass jar, add to your soup made of dried lentils, soaked a day, w/ dried onions or dry soup veggies and a boullion cube. Lightest and most nutritious rucksack food there is. cook it up in a canteen cup on top of your esbit stove..
Water probably is the most necessary item as we can only live a short time with out it. There are several ways to make safe drinking water. But there are several steps to make river or lake or any other water safe. cloudy or muddy water needs to have time to settle, as most contaminants are attached to the solids in the water (notice I said MOST). After that I would boil and or distill it. Then would use a high quality filter that can filter out chemical and bacterial components. with these steps one should be able to process most any source of water. Most of my info comes from my time working for a large municipal water department. If I have missed something please feel free to add anything..
sugar and salt /canning jars covers if electricity is out you will need to preserve freezer food or eat it.